Cranley said he left the session feeling there is a new commitment to affordability and cost containment. Hartmann said the MSD dispute resolution process will primarily involve better communication between the parties. Cranley also agreed that is a key component. Hartmann and Cranley both agree the city/county relationship concerning MSD is broken. City Manager Harry Black recently halted a major consent decree project just as work was ready to start. He said the Lick Run project needs to be re-bid to save money. The decision caught the county by surprise and commissions said they wanted to see Black's math. Last week, Commissioner Chris Monzel said the county would likely go back to federal court for clarity on an earlier ruling on whether the city or county has the final says on sewer projects. In that ruling, the judge sided with the county. 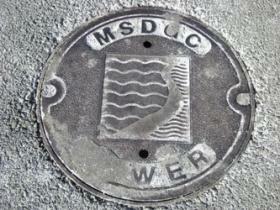 Hamilton County created the sewer district, but the city manages it under a 1968 agreement that expires in 2018. In June, a federal magistrate ruled Cincinnati's responsible bidder ordinance was invalid and Hamilton County makes the rules for MSD. The city and the county had been fighting for more than two years over the responsible bidder ordinance, which would force MSD contractors to have apprentice programs and pay into a pre-apprenticeship fund. Unions favor the ordinance because many of them have apprentice programs. The Republican majority on the Hamilton County Commission has opposed responsible bidder, saying it puts unfair burdens on contractors. And, they argued, that it is illegal. No compromise could be worked out, so the county took the matter to U.S. District Court. Magistrate Karen Litkovitz said in her 29-page ruling the city cannot force its rules on the county because, as the owner of MSD, the county makes the final decisions. That, Litkovitz said, goes back to the 1968 agreement that created the MSD arrangement between the county and the city.